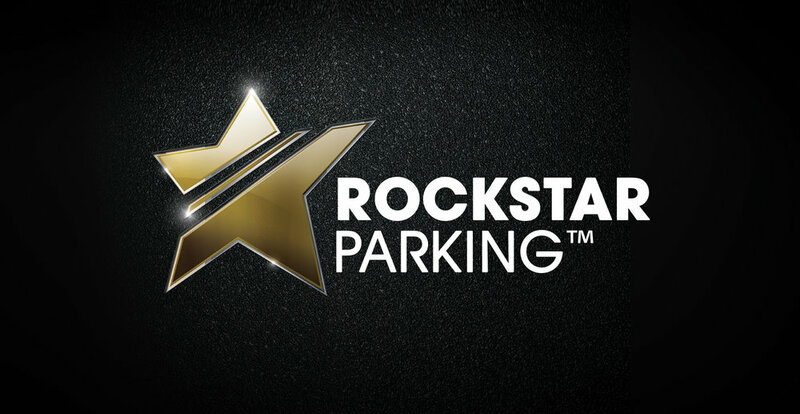 Rockstar Parking is a new deluxe airport car valet service worthy of the rich and famous. 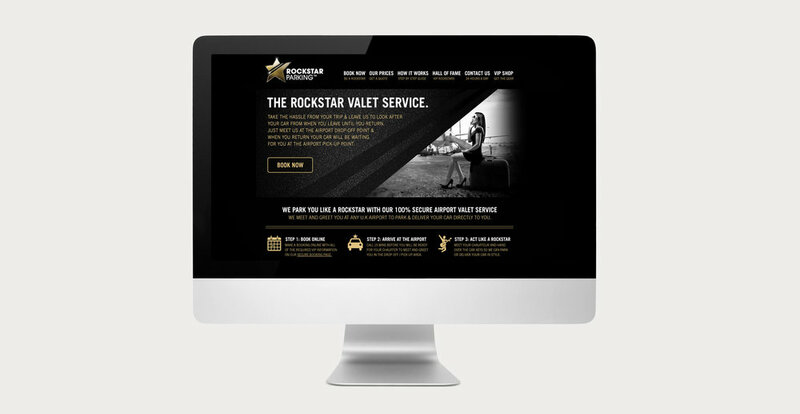 Such a glamorous offering needed a logo that oozed glitz, sparkle and rock star swagger. 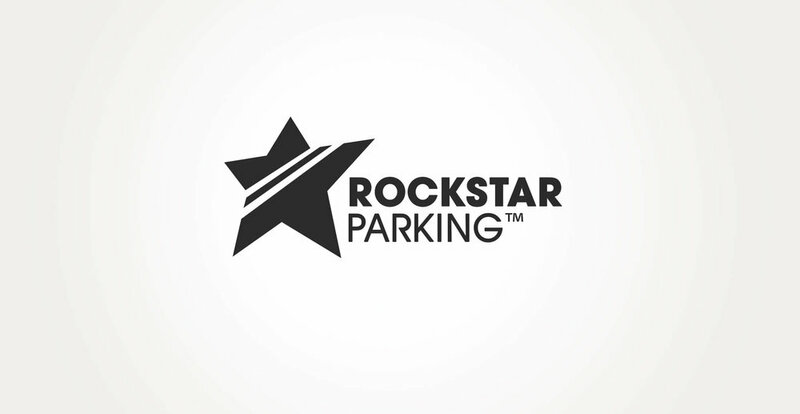 A gold star angled, glinting, slashed through with parking lines created an impactful and modern emblem. 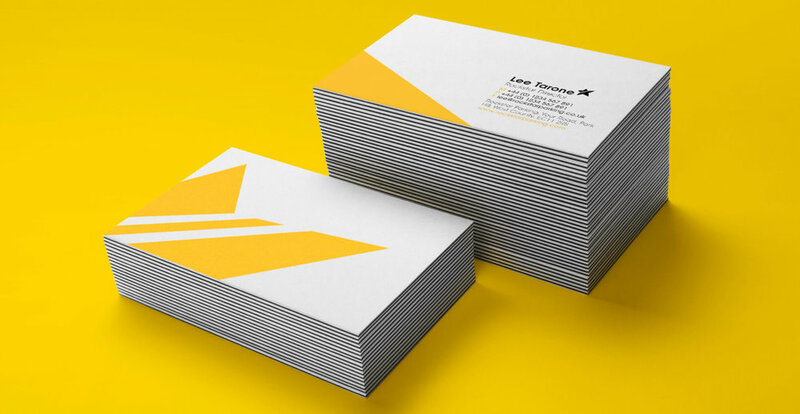 While the star instantly expresses glamour, the clean typography expresses confidence. A winning combination. "a gold star angled, glinting, slashed through with parking lines created an impactful and modern emblem"